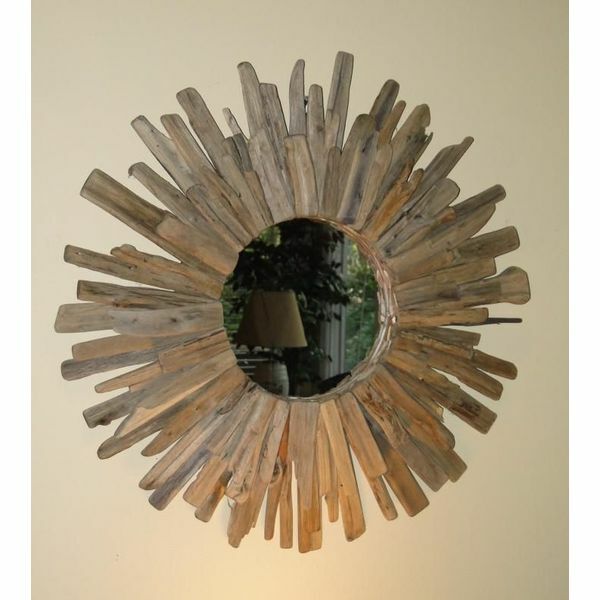 Add rustic charm to your bathroom, living space or bedroom with this gorgeous Driftwood Sunburst Mirror. 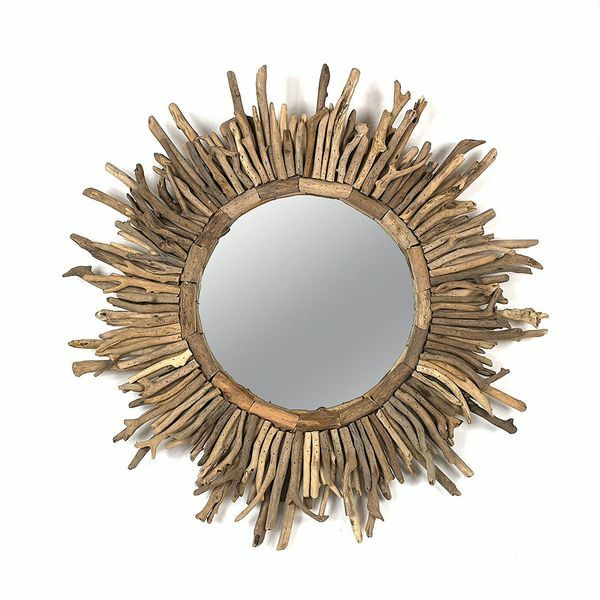 The 26-inch-diameter piece is composed of a central glass mirror with a sunburst-style arrangement of driftwood sourced from the Philippines surrounding it. 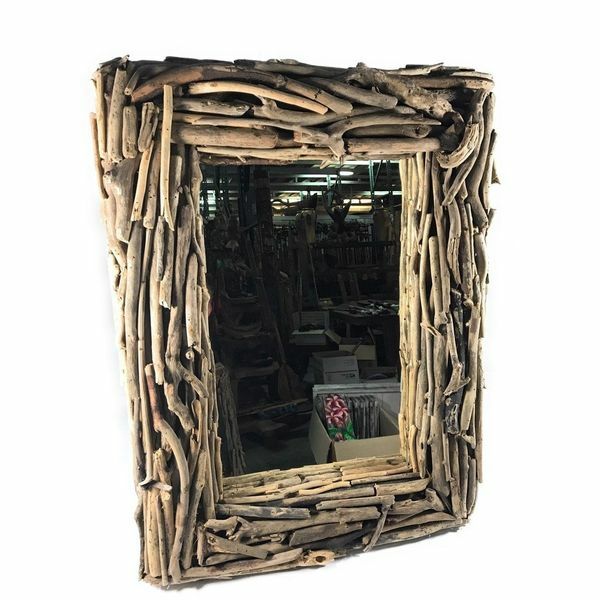 Get the coastal vibe you love even when you’re miles from shore with this Tikimaster Driftwood Mirror. 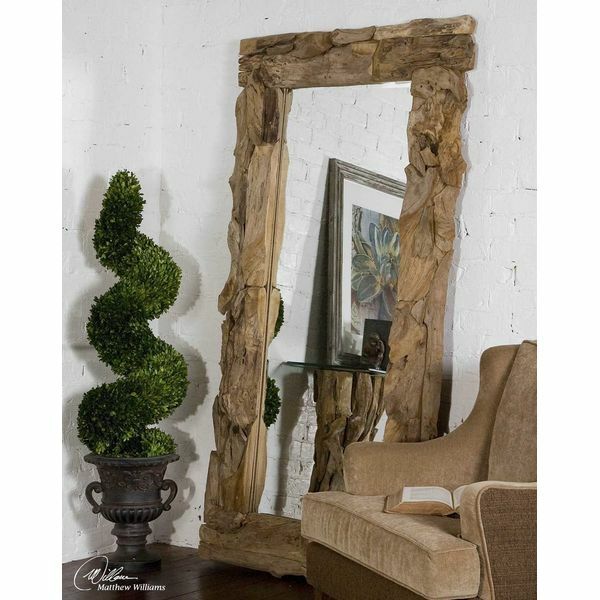 The rectangular-shaped mirror has been surrounded with an assortment of gorgeous driftwood pieces that gives it a uniquely textured appearance. The mirror is 100 percent handmade. Designed to lean lazily against the wall for a casual look, this Driftwood Full Length Mirror takes advantage of the natural appeal of driftwood to give your space a beautiful coastal vibe. The mirror measures 39 inches by 79 inches by 4 inches in size, ideal for any room. Why opt for boring and traditional décor when you can enjoy the beauty nature has to offer with this mirror? Upon first glance, you can tell that this mirror was not mass assembled at some factory by someone who is there to simply collect their daily wages. Instead, it was assembled using the highest level of quality by people who appreciate the beauty of the outdoors just as much as you do. Due to the hand selection and crafting process, you will find that no two of these mirrors will look the exact same as the color tones will vary slightly. A beautiful starburst design turns this Aged Round Driftwood Mirror into as much a piece of art as it is a functional mirror. The design features a circular mirror in the middle of a random assortment of driftwood pieces and measures 29 inches in diameter. 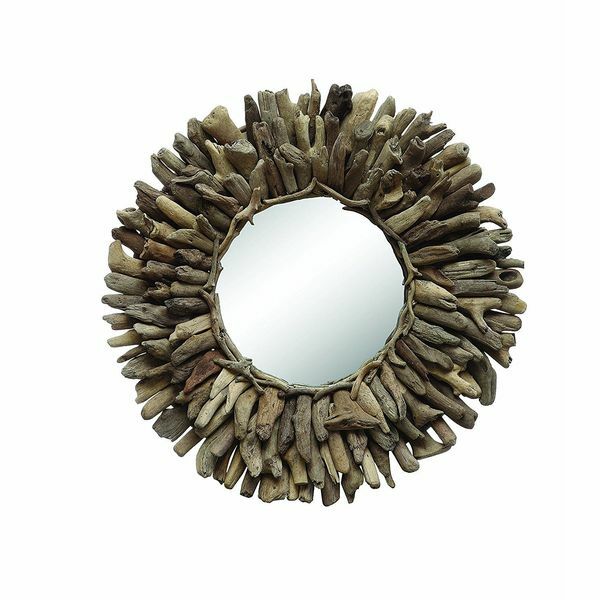 Everything you love about coastal decor is yours for the taking with this Creative Co-op Round Driftwood Framed Mirror. 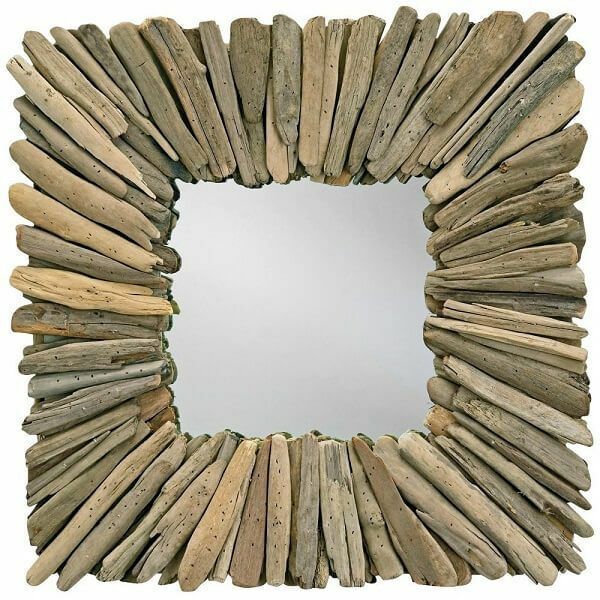 In the middle of a circular arrangement of various sizes and textured pieces of driftwood is a round mirror made from durable glass that is easy to clean.